You have questions/problems/desires and we have answers/solutions!! QUESTION: Must we Factor a minimum number of future receivables? ANSWER: No. We do not require a minimum number of Accounts Receivables. Factor as little or as much as your business needs. QUESTION: Do we have to Factor every (Invoice) Accounts Receivable? ANSWER: Factor only those you want and when you want. An Accounts Receivable you Factor this month does not have to be Factored next month. We do not blanket your receivables, thus, providing maximum flexibility. QUESTION: My business is new and has no credit history, can it qualify? ANSWER: Yes! No credit, or bad credit, no problem. We base our decisions on the creditworthiness of your clients. As long as you have at least one creditworthy client, then we will most likely be able to help you. QUESTION: What will my clients think? ANSWER: Factoring is used by many of the largest corporations in the world including Fortune 500 Companies to improve cash flow, promote growth, and increase profits. Many of your clients may use this service themselves and others have become familiar with it through other vendors. The fact that you qualify for this credit line makes a positive statement. 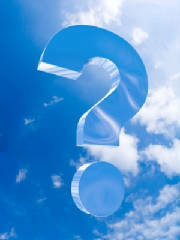 What would you think if you knew your vendors qualified for an unlimited line of credit from a financial institution? WHAT HAPPENS ONCE THE FACTORING PROCESS BEGINS? The Funding Source Company advances a certain percentage (up to 95 percent) of the Accounts Receivable Invoice amount to the business. The Funding Source Company holds a percentage of the Invoice amount or paper as a Reserve. Your business', customer(s) or vendors submit payment to the Funding Source Company (but ONLY on the Accounts Receivables you’ve decided to Factor with us). The Funding Source Company rebates your business the reserve amount minus the Funding Source Company’s fee. QUESTION: What Is a Note and the Purchasing of a Note? ANSWER: A Note is a legal document in the form of a promissory note that obligates one party to pay or repay money to another party. This legally enforceable document is designed for the purpose of mutually protecting the interest to both the lender and the borrower or the seller and the buyer of something. Examples of well-known kinds of notes are car notes, house notes, business notes, boat notes and aircraft notes. A notes purchasing transaction is when a company such as Profit Increase Funding purchases the single note or portfolio of notes that an individual sells and in exchange provides the seller of the note with a lump sum of cash up to 85 (eighty-five) percent of the total value of the note. Profit Increase Funding LLC has Funding Source Companies with BILLIONS of dollars to invest into the purchasing of your note(s). QUESTION: Is there a minimum or maximum value that a note or a portfolio of notes has to be in order for me to sell them? ANSWER: No. There is no minimum or maximum value that the note or portfolio of notes has to be in order for you to sell them. QUESTION: Must we sell a minimum or maximum number of notes? ANSWER: No. You can sell just one note or as many notes as you want to sell. You can sell them one at a time or in a portfolio of notes. QUESTION: If I am selling a single note, do I have to sell all (100%) of the note or can I sell a portion of the note. ANSWER: You do not have to sell the entire (100%) of the note. You can sell 75% of the note or 50% of the note or 25% of the note or any percentage of the note that you want to. QUESTION: How much will it cost me to sell my note or portfolio of notes? ANSWER: There is no charge to you, the note holder. This is because we are paid via you agreeing to accept slightly less than the total value of your note. QUESTION: How long does it take for me to get my money? ANSWER: This varies from deal to deal but typically it takes 2 to 3 weeks to receive your money. QUESTION: What determines the value of your note? ANSWER: The value of your note is determined by but not limited to such things as: (1) the type of note being sold, (2) the credit history of the payor, (3) the value of the tangible entity the note is collaterally secured by, (4) the seasoning of the note, (if the note has been consistently paid on time and in full by the payor of the note and for how long and (5) the interest rate of the note. QUESTION: How old does my note or notes have to be before I can sell it or them? ANSWER: We prefer seasoned notes with a favorable payment history but in some cases we can buy fairly new notes or even arrange a simultaneous close in which we can immediately buy the note(s) as soon as they are created. If you want to grow and earn LARGER profits – ACT NOW!! The Sooner you act, the sooner you can start receiving these highly-profitable benefits! QUESTION: What are some of the main uses, advantages and financially prosperous benefits of Naming Rights for the Sellers of Naming Rights? The ability to obtain debt-free, risk-free, millions, tens of millions, hundreds of millions (and sometimes even billions of dollars) for your For-profit Business, Non-profit Organization, Municipalities or other kind of Establishment or Entity. The ability to utilize the debt-free, risk-free, potential millions, tens of millions, hundreds of millions (and sometimes even billions of dollars) that you could obtain for initial architectural construction and/or continuing architectural construction expansion, which also includes overall improvements to sustain, expand, renovate and modernize your establishment and create and sustain jobs. Further expand and grow the business, perhaps establishing additional branches of your establishment in other demographic locations. Create a real and very doable opportunity to accumulate a financial surplus for all of the needs and desires of your establishment. Conventional research development and comparative effectiveness research. The purchasing of new and highly effective knowledge and information and/or instructors that can greatly improve your establishment. Avoiding bankruptcy if that pertains to your establishment or could pertain to your establishment. Increasing the time-management and overall efficiency of your establishment. Improving and expediting your product and/or service processing and delivery. Increase and improve national and international status and public relations. Purchase more equipment and supplies. The ability to hire additional employees. Avoiding, reducing and/or eliminating debt, and much more. QUESTION: What are some of the main uses, advantages and financially prosperous benefits of Naming Rights for the Buyers of Naming Rights? ALL of the main uses and financially prosperous benefits of Naming Rights that were just previously mentioned above for the Sellers of Naming Rights are also fortunately and powerfully obtainable for the Buyers of Naming Rights. It is just that those benefits are derived in a reversed process. This is because even though Naming Rights Buyers are the ones that pay out the money to a Naming Rights Seller, their Return On Investment (ROI) is what will provide the Naming Rights Buyer with the cash (derived from the resulting increased market recognition, demographic territory, sales and profits) to obtain all if not more of the same benefits and profits obtained by Naming Rights Sellers. Naming Rights dramatically increases public awareness of the company or organization or individual that buys them. The sales and communication objectives of the Naming Rights Buyer can be deliberately shaped, focused, and targeted in extremely beneficial ways through the innovative use of naming rights. Image enhancement for the Naming Rights Buyer becomes MUCH MORE controllable, predictable, and profitable for the Naming Rights Buyer due to the indelible impact of their purchasing of Naming Rights and/or Corporate Sponsorships. Naming Rights can enormously boost your corporate entity in the realm of your sales/marketing efforts and corporate image and can also bring you magnificent results in the following areas: (1) community relations, (2) customer relations, (3) stakeholder relations, (4) strategic positioning, (5) advertising, (6) media publicity, (7) municipality relations, (8) political advantages, (9) entertainment value that can be strategically funneled into publicity and public recognition, (10) investor relations, (11) multiple kinds of recruitment advantages, (12) improved employee pride and relations, (13) increasing your publicly traded stock value, (14) increasing your sales/market share, (15) creating and sustaining jobs, (16) eliminating or avoiding debt and (17) much, much, more. The number of the indelible marketing impressions and the overall impact of the marketing impressions that can be psychologically orchestrated and branded upon the minds of consumers can also be greatly amplified by the use of a very important component: that irreplaceable, extremely important and very valuable component is the wise and powerful utilization of Profit Increase Funding! QUESTION: How are naming rights sold? ANSWER: Naming Rights are sold in various ways. The very best way they can be sold is by the Naming Rights Seller (or the Naming Rights Buyer) to contact and commission a Naming Rights Marketing Firm (such as Profit Increase Funding, LLC). Then our Naming Rights Marketing Firm will handle all of the procedures involved, which includes finding and contacting the potential Naming Rights Buyer (or Seller), facilitating and negotiating the deal and closing the deal. Naming Rights deals can also be transacted in reverse; meaning that the Naming Rights Buyer can find a Naming Rights Marketing Firm (such as Profit Increase Funding LLC) that can then find a Naming Rights Seller for the Naming Rights Buyer. QUESTION: How is the pricing for a naming rights agreement determined? ANSWER: This is determined on a deal-by-deal basis and there are various approaches that can be implemented. Some deals are monetarily quantified based upon square-footage, location, what the facility that is selling the naming rights is used for and/or use for, by how many people the facility is seen by on a daily or annual basis and how frequently and why, how well-known the facility is and its purpose of functionality and many other variables. Others are determined simply by the amount of money the Naming Rights Sellers want and/or need to obtain in order to achieve a specific financial goal. QUESTION: What are the funds derived from a naming rights deal generally used for by naming rights sellers? ANSWER: The funds derived from a naming rights deal can be used by the naming rights seller in any way they choose. Generally, the funds derived from a naming rights deal are used by the seller of the naming rights for initial architectural construction (or expansion) and/or for continuing architectural construction expansion, renovation, purchasing equipment, and much, much more. QUESTION: What was the first naming rights deal/transaction ever transacted? ANSWER: The first naming rights agreement was transacted in 1972 between Rich Products and Erie County, New York for what was then their new stadium for the Buffalo Bills. QUESTION: What was the first naming rights deal transaction ever transacted for the re-naming of a facility? ANSWER: The first naming rights deal/transaction for the renaming of a facility was between the Great Western Bank and the Los Angeles Forum. It was transacted in 1988 and transformed the name of the Los Angeles Forum into the Great Western Forum. QUESTION: What was the first naming rights deal/transaction for a convention center? ANSWER: The first naming rights deal/transaction ever transacted for a convention center was transacted in 1997 between Midwest Express Airlines and the Wisconsin Center District for its new convention facility. QUESTION: What kind of facilities can sell naming rights? ANSWER: All kinds of For-profit and Non-profit businesses, organizations, establishments and municipalities are eligible to sell Naming Rights. Some of those eligible entities that can sell naming rights are: (1) hospitals, (2) hotels, (3) amusement parks, (4) museums, (5) shopping centers, (6) municipalities, (7) television shows, (8) colleges/universities, (9) theaters, (10) airports, (11) convention centers, (12) office buildings, (13) stadiums, (14) parks, (15) art centers, (16) roads, (17) internet companies, (18) real estate subdivisions, (19) worldwide venues, (20) for architectural construction expansion, (21) churches, (22) events and (23) many more kinds of For-Profit and Non-Profit Businesses and Organizations and goals/reasons. QUESTION: What are In-Ground Assets? ANSWER: In-Ground-Assets are assets that a company or individual owns that are in the ground such as: oil and gas, coal, gold, silver, platinum, silica, kaolin, diamonds, copper, aluminum, nickel, liquid traded metals, and other minerals. QUESTION: How can a company or individual sell and therefore monetize their In-Ground Assets through In-Ground Asset Funding? ANSWER: The process of selling/monetizing In-Ground Assets through In-Ground Asset Funding can be accomplished by selling them through a Funding Source Company (such as Profit Increase Funding LLC) that specializes in the monetizing of In-Ground Assets. The process typically requires the company that is selling the In-Ground Assets to submit the following minimum documentation to the Funding Source: (1) Assay(s)/geological reports that state the current value of your In-Ground Assets, (2) Proof of rights (from and stamped by the government) to mine the minerals/assets, (3) You do not have to own the land but you must be able to show that you own the mining rights to your In-Ground Assets, (4) An Executive Summary that includes what the funds will be used for and the humanitarian benefits of the funding you are requesting, such as job creation, and (5) You must have and provide a Color passport or US I.D. at 150% magnification.